mark twain | Out of the Box! Samuel L. Clemens was born in Hannibal, Missouri on November 30, 1835. The American author is overwhelming known by his pen name of Mark Twain. Born shortly after the appearance of Hailey’s Comet in 1835 Clemens said he came in with comet and would go out with it. His death came one day after the comet’s return on April 20, 1910. His pen name of,”Mark Twain,” Clemens said came from Captain Isaiah Sellers who wrote down paragraphs of practical information and signed them Mark Twain and send them to the New Orleans Picayune. 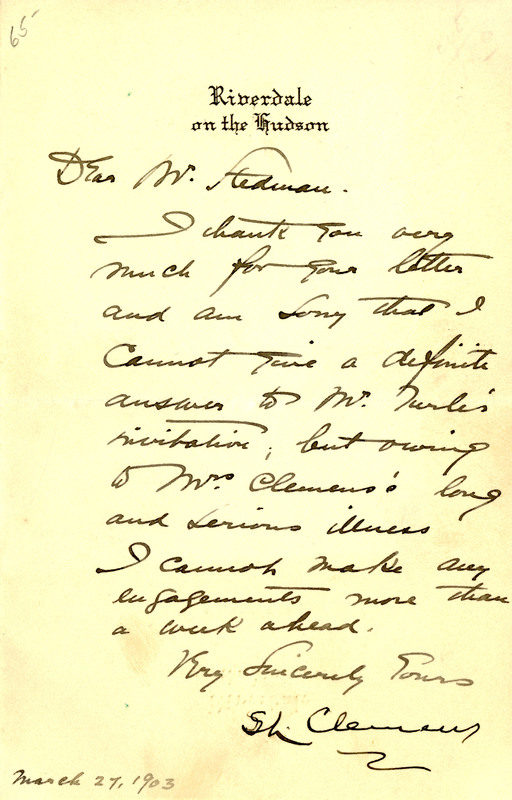 Clemens took up the pen name after Captain Sellers died in 1869. The cover of the magazine featured in this post is from 1874 and was illustrated by R. T. Sperry. 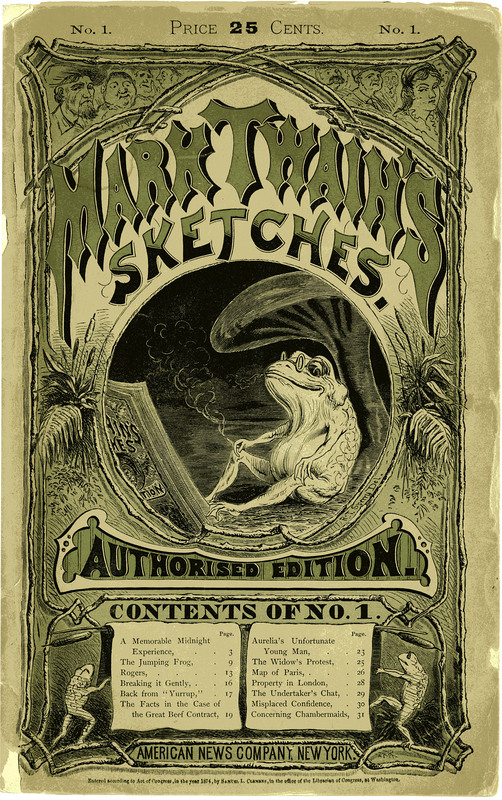 Note that the frog is reading the same title as the magazine. 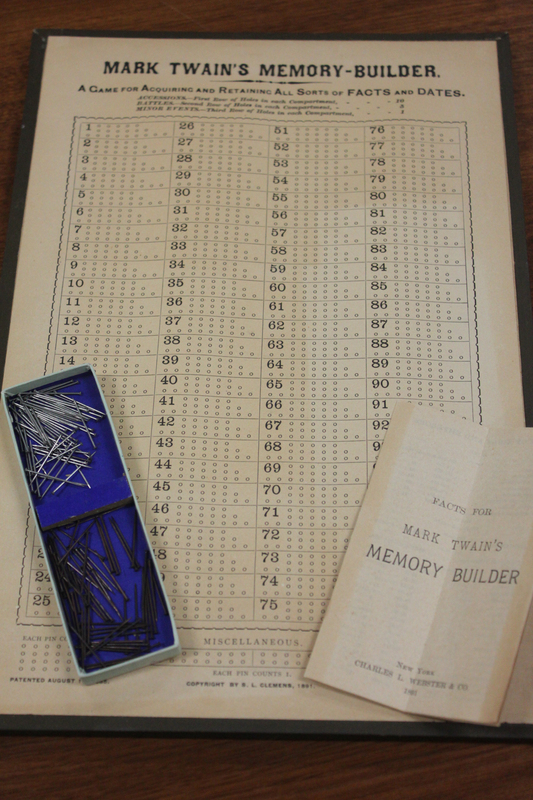 The Special Collections Department in the Thomason Room of the Newton Gresham Library holds the Mark Twain Correspondence and Ephemera Collection, 1874-2002. This Twain collection is said to be one of the best in Texas. Mark Twain was one of America’s premier writers and his works have reached worldwide recognition for their humor and historical significance. SHSU Special Collections currently has a large and unique collection of the novels and writings of Mark Twain. The collection includes roughly 500 of Mark Twain’s books and even some of his personal correspondence. The books include many first editions and limited printings. 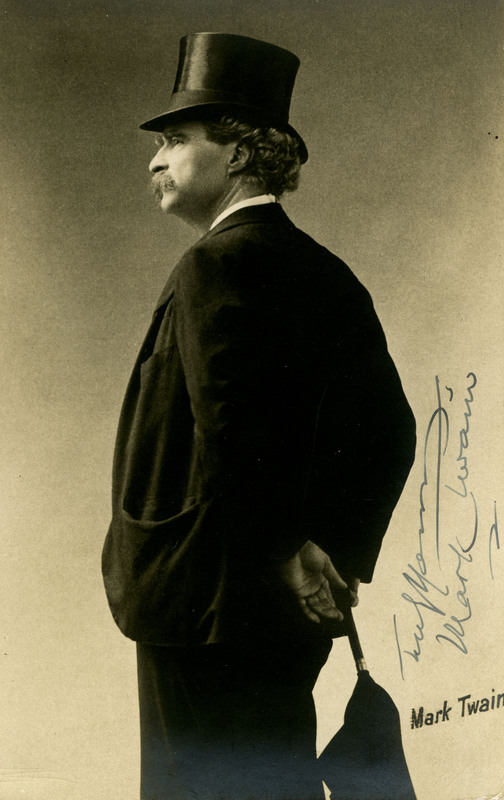 This correspondence includes letters and postcards that are mostly thank you letters concerning travel accommodations for one of Mark Twain’s trips to Europe. 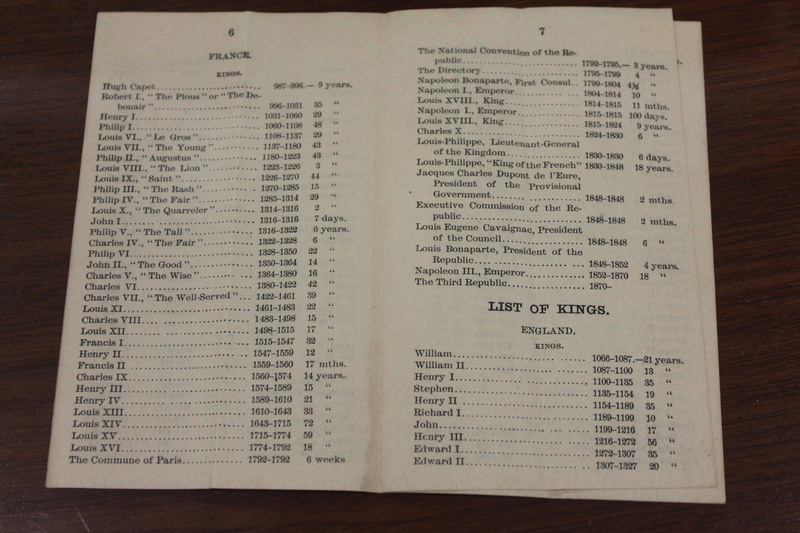 The collection also has newspaper clippings and ephemeral booklets relating to Mark Twain. 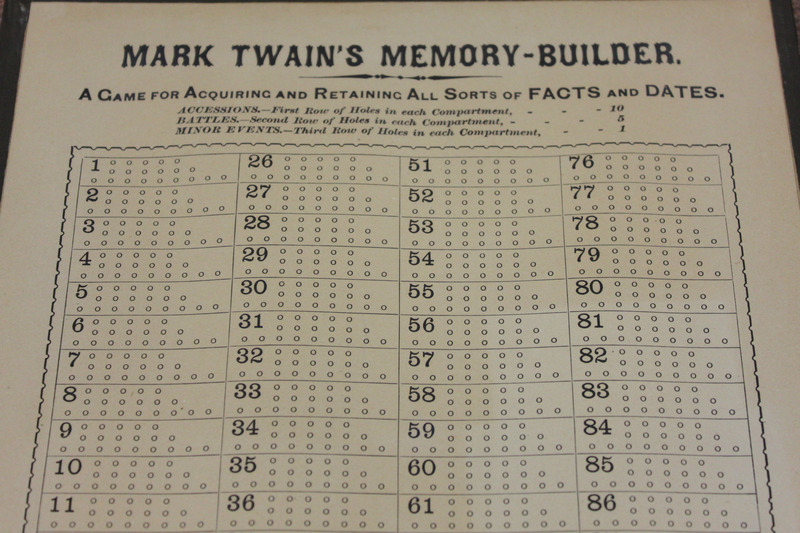 In addition, a complete memory training game created by Mark Twain is a featured item.